The groundhog must have been confused when it saw its shadow this year. Winter is almost gone, and spring seems to be coming early. Just one look out the window and many already see beautiful blue skies, flowers budding and the sun peeking through the clouds. Summer and warm weather are not far behind, so take the opportunity before severe heat is upon you to make a plan to avoid the heat. Here are some air conditioning tips to decrease your energy output, to ensure the most efficient cooling for your dwelling. Regular Maintenance Take the opportunity while you do not need your AC unit to service your device. 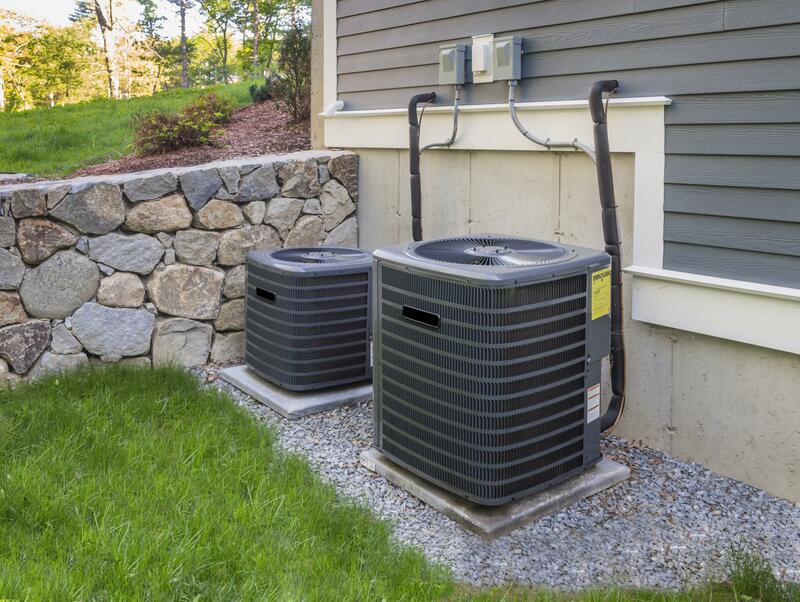 The best time to repair your AC is in the spring. By not maintaining your air conditioner, you will lose 5 percent efficiency and energy will increase, while efficiency goes downhill. Replace your filters on your unit. Dust accumulation decreases the AC efficiency The dirtier the filters are, the harder it will need to work to circulate air to cool. Lower the AC at night. Take advantage of the cooler evening temperatures. Open windows and increase the temp on the thermostat. A lot of new units have a sleep mode that you can set for the device to switch over to during scheduled hours. Do not forget the new smart thermostats you can change when you are not at home. Set the AC at 78 degrees when you are away. It is thought it save more energy by turning off the cooling air when you aren’t at home. The fact is, it is more efficient to have the AC reduce cooling, so it does not have to work so hard to cool the room again. If you can handle a little more heat, you would save more money. 10-15 degrees can save around 10 percent on your heating bill. Only cool one room or small area with a portable or window unit. A great way to decrease the energy bill is to just cool one room in the house. Use a mobile or window unit in a place you spend most of your time. Close off all other parts of the house to minimize losing the cold air, especially if you have more than one story. Heat rises so it will be more useful to choose a lower floor to cool. Avoid dwelling in the upper rooms til cooler hours of the day. These basic steps can help greatly to keep your home cooler. Try to avoid cooking. 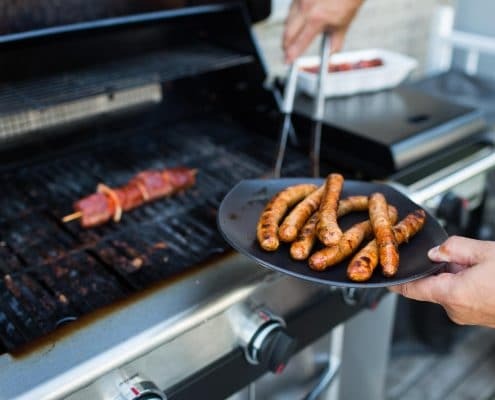 Use an outside grill to prepare a meal, so you do not heat up the house. Avoid using the dryer and, rather, hang your clothes outside on a clothesline. Minimize dishwasher use by only running full loads. All of these appliances create a lot of heat in your home. Decreasing their use will diminish the efforts of your cooling system. Turn down your water heater. Turning down the water heater won’t help cool your house, but it will decrease your energy bill. During the summer it is not as important to have as much hot water. During the warm months turn down the water heater a few degrees. Use fans with AC unit. A fan will use a lot less energy than an air conditioner. Circulating the air will keep room climate more consistent. A draft makes the room feel colder than it is, so when you’re not in the area, turn off the fan. Use all the ventilation fans in the kitchen, bathroom, and laundry room to remove any heat from use. Make sure they blow the heat outside and not into another part of your home. 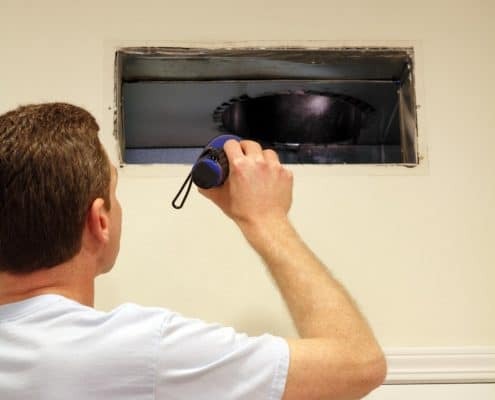 Check duct insulation, then do an energy audit to make sure your house is not leaking cold air. You can reach out to your local power company, and they can help you set up an audit. If you cannot wait for an energy audit, you can walk the perimeter of your house. Carefully feel around all the windows and doors and see if you feel any cold air leaking out. Another tip is checking your ducts to ensure they are well insulated. Your cold air won’t stay cold if it has to travel through the warm air to get to the inside of your house. Check your home insulation in walls and attics. Make sure your home is energy efficient and not losing heat through the walls, attics or crawl spaces. Limit outside light. Outside light is a fast way to heat up a home. Close blinds to prevent the warm sun from getting in and warming up your home. Check to make sure you have efficient blinds that will reduce heat sneaking in through your window. Upgrade your thermostat or change the location. The thermostat location can affect how accurately it reads the temperature in your home. If your thermostat is near a window, it will read a warmer temperature than the rest of the house. 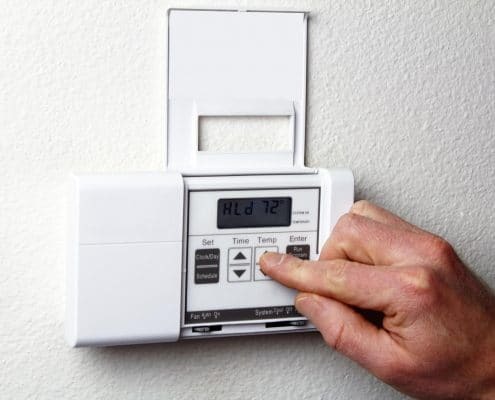 If the thermostat reads a higher temperature, it will tell the AC to work harder. Household appliances such as lamps or TVs near the thermostat can cause it to read inaccurately. During the heat of the day, leave your home. Take advantage of public locations during the peak heat. Head to a movie, go to the lake, visit the mall or the library. While you are out, close the blinds and increase the thermostat to a higher setting. Then it won’t have to work so hard to try and beat the heat. If you are finding that your home air conditioning unit is not running efficiently, it might be time to replace the old box. Doing that can save you a lot of money over the next couple of years. Make sure your house is not leaking cold air and do what you can to insulate your home. For some, that means adding some trees and shrubs for additional shade during the summer hours. Tell us what has been the most effective to keep your energy bill down in the summer months. When you are ready to buy or sell your home, let us know! Sign up to speak with a specialist in your local area. We work hard to make sure you save as much money as possible on your next purchase or refinance!